A software update is now available that introduces new features and adjustments to enhance the overall experience. 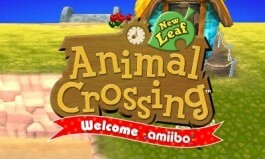 After this update, the title screen will display the title Animal Crossing: New Leaf - Welcome amiibo, as seen in the screenshot. Please note: this update is required in order to use Animal Crossing: New Leaf's online features. Find out more about this update at the official Animal Crossing: New Leaf website.